is the best decision you can make. Managing your organisation’s commercial property strategy can be stressful, difficult, and costly if you make the wrong decision. That’s where we can help with our outsourced, fully managed solution. In a typical refurbishment or relocation scenario, organisations that self-manage tend to get very distracted with the process and forget about their core business activities. The trouble is that most don’t foresee the expertise and skill required and this distraction can be catastrophic. Our fixed cost start-to-finish solution addresses this type of situation. You get a complete solution, with onging lifecycle management. Michael has over 10 years’ experience across all facets of commercial property services, including lease negotiations, relocations, fitouts, refurbishments and strategy development. During this time he has developed a deep understanding of commercial business drivers, along with a passion and ability to develop and deliver client-centred innovative solutions and outcomes. Michael is a master negotiator and planner, and has used this expertise to manage numerous large and complex projects for professional service clients. These have usually involved tenancy and lease negotiations, fitout and refurbishments — in some instances while the tenants were still in occupation — ensuring minimal disruption to business operations and avoiding costly large-scale relocations. Michael will work with you to identify your situation, understand what’s driving your property or tenancy decision, provide market analysis through his deep understanding of market trends, develop a strategy to assist business to make the change you’re looking for – and then implement utilising his extensive project management experience and network of industry contacts. 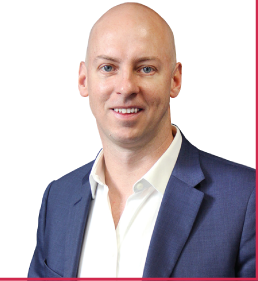 But while this experience is impressive, it’s Michael’s ability to really listen and understand what you’re trying to achieve that sets him apart from other commercial property service consultants. Copyright © 2016 EXIM. All rights reserved.